Fibre can be so tasty! 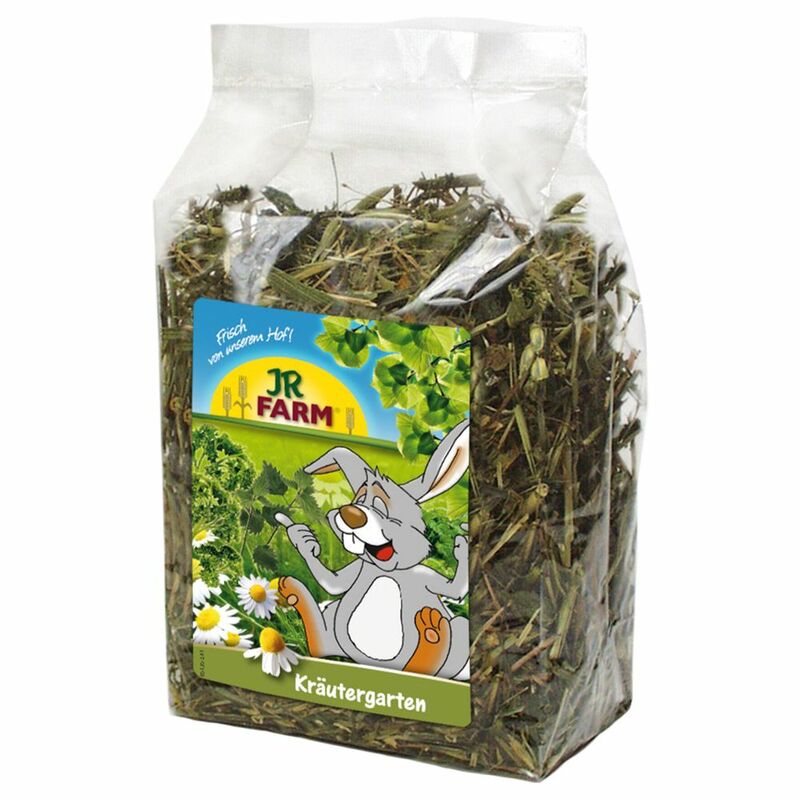 The JR Farm Garden Herbs Mix is a delicious low-calorie supplementary food with a combiantion of nine different herbs. With a balanced mixture of vitamins and trace elements, this mixture can help keep your pet's coat healthy, and also has the added benefit of encouraging your pet to gnaw and chew, keeping its teeth healthy and short. Fibre is an eΒential part of your herbivorous small pet's diet, supporting healthy digestion and keeping your pet full of vitality! JR Farm Garden Herbs supplementary mix is the perfect way to add some healthy, delicious variety to your pet's daily diet. The mixture contains a balanced combination of green oats, green wheat, parsley, balm, peppermint, nettle, alfalfa, dandelion, and camomile.